4 What is a VBA Object? 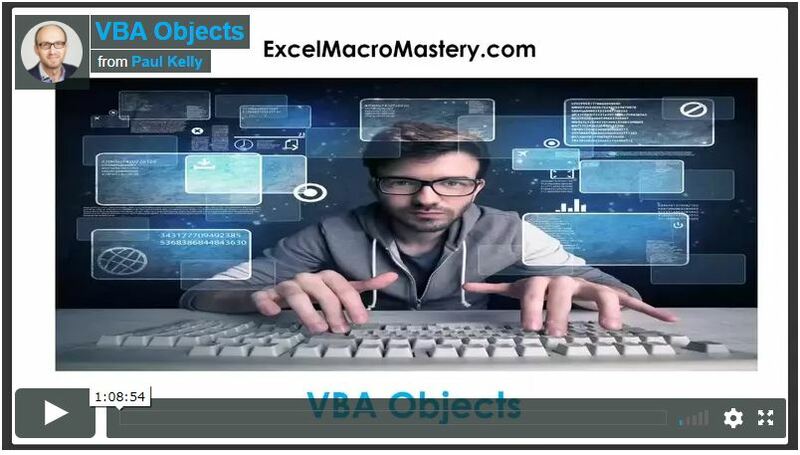 If you are serious about learning VBA then it is important to understand VBA Objects. Using objects is not that difficult. In fact, they make your life much easier. In this post, you will see how VBA makes brilliant use of objects. How objects such as Collections, Workbooks and Worksheets save you much complexity, time and effort. In my next post, I will cover creating objects using Class Modules. However, before you create your own it is vital that you understand exactly what they are and why you need them. So grab your favourite beverage and take a journey into the fascinating world of VBA objects. What is a VBA Object? To understand what an object is, we must first look at simple variables. 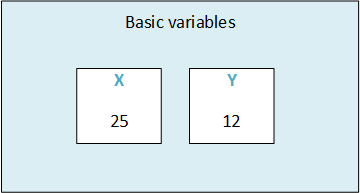 In VBA we have basic data types such as string, integers, double and date. We use these data types when we are creating a variable e.g. 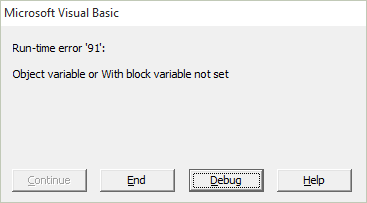 Basic VBA variables have only one purpose. To store a value while our application is running. We either put a value in the variable or read a value from the variable. The Collection is an example of an object. It is more than a variable. That is, it does more than storing a piece of data. We can add items, remove items and get the number of items. Definition of a VBA Object: An object is a grouping of data and procedures(i.e. Functions and Subs). The procedures are used to perform some task related to the data. In the Collection the data is the group of the items it stores. The procedures such as Add, Remove, Count then act on this data. In the Worksheet object, the main data item is the worksheet and all the procedures perform actions related to the worksheet. An object is used to represent real world or computer based items. The major benefit of an object is that it hides the implementation details. Take the VBA Collection we looked at above. It is doing some complicated stuff. When an item is added it must allocate memory, add the item, update the item count and so on. We don’t know how it is doing this and we don’t need to know. All that we need to know is when we use Add it will add the item, Remove will remove the item and Count will give the number of items. Using objects allows us to build our applications as blocks. Building it this way means you can work on one part without affecting other parts of your application. It also makes it easier to add items to an application. For example, a Collection can be added to any VBA application. It is not affected in any way by the existing code and in turn it will not affect the existing code. Looking at a real-world example can often be a good way to understand concepts. 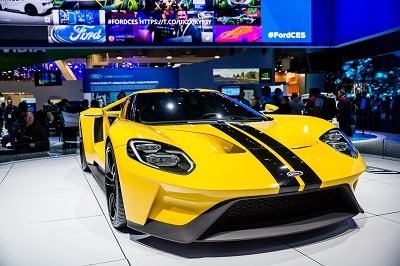 Take a car with a combustion engine. When you are driving your car, a lot of complex stuff is happening. For example, fuel gets injected, compressed and ignited leading to combustion. This then causes the wheels of your car to turn. The details of how this happens are hidden from you. All you expect is that turning the key will start the car, pressing the accelerator will speed it up and pressing the brake will slow it down and so on. Think of how great your code would be if it was full of these type of objects. Self-contained and dedicated to performing one set of tasks really well. It would make building your applications so much easier. Properties – These are used to set or retrieve a value. Methods – These are function or subs that perform some task on the objects data. Let’s take a look at the first three members of the worksheet. It has an Activate method which we can use to make worksheet active. It has an Activate event which is triggered when the worksheet is activated. The Application property allows us to reference the application(i.e. Excel). In the next sections we will look at each of these components in more detail. 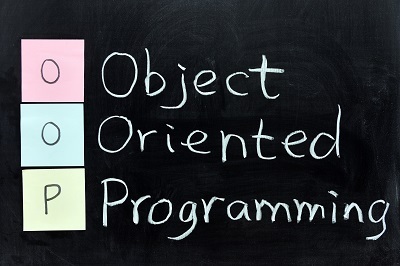 An object property allows us to read a value from the object or write a value to the object. We read and write to a property the same way we read and write to a variable. A property can be read-only which means we can read the value but we cannot update the value. You will notice we used the Set keyword here. We will be looking at this in detail later in the post. Methods are used to perform some action to do with the object data. With a Collection, the main data is the group of items we are storing. You can see that the Add, Remove and Count methods all perform some action relating to this data. 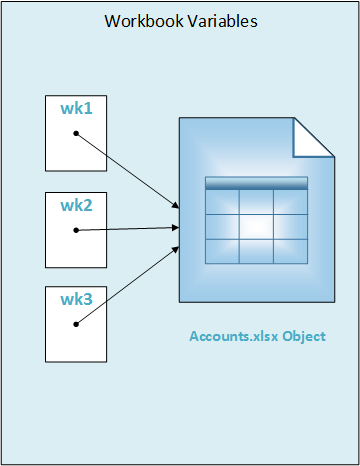 Set wk = Workbooks.Open "C:\Docs\Accounts.xlsx"
Visual Basic is an event-driven language. What this means is that the code runs when an event occurs. Common events are button clicks, workbook Open, worksheet Activate etc. In the code below we display a message each time Sheet1 is activated by the user. This code must be placed in the worksheet module of Sheet1. MsgBox "Sheet1 has been activated." Now that we know the parts of the VBA object let’s look at how we use an object in our code. In VBA, our code must “Create” an object before we can use it. We create an object using the New keyword. When we reach the Add line no Collection has been created. Assign the variable to the object. We can perform these steps in one line using Dim and New together. Alternatively, we can declare the variable in one line and then create and assign the object in another line using Set. Let’s take a look at both of these techniques. When we use Dim and New together they declare, create and assign all in one line. Using code like does not provide much flexibility. It will always create exactly one Collection when we run our code. In the next section we will look at Set. This allows us to create objects based on conditions and without having to declare a variable for each new object. 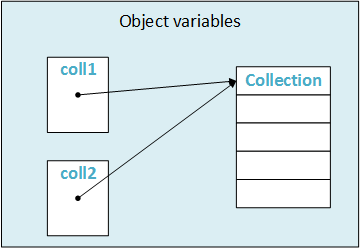 We can declare an object variable in one line and then we can use Set to create and assign the object on another line. This provides us with a lot of flexibility. In the code below we declare the object variable using Dim. We then create and assign it using the Set keyword. We use Set in this way when the number of objects can vary. Using Set allows us to create multiple objects. In other words, we can create objects as we need them. We can’t do this using Dim and New. We can also use conditions to determine if we need to create an object e.g. Later in this post we will see some examples of using Set to create objects. There are some subtle differences between using New with Set and using New with Dim. When we use New with Dim, VBA does not create the object until the first time we use it. In the following code, the collection will not be created until we reach the line that adds “Pear”. When the Add line runs, the Collection will be created and the variable will now show a Collection with one item. The reason for this is as follows. A Dim statement is different to other VBA lines of code. When VBA reaches a Sub/Function it looks at the Dim statements first. It allocates memory based on the items in the Dim statements. It is not in a position to run any code at this point. Creating an object requires more than just allocating memory. It can involve code being executed. So VBA must wait until the code in the Sub is running before it can create the object. Using Set with New is different in this regard to using Dim with New. The Set line is used by VBA when the code is running so VBA creates the object as soon as we use Set and New e.g. There is another subtlety to keep in mind using New. If we set the object variable to Nothing and then use it again, VBA will automatically create a new object e.g. If we used Set in the above code to create the new Collection then the “Add Pear” line would cause an error. You may have noticed some objects don’t use the New keyword. 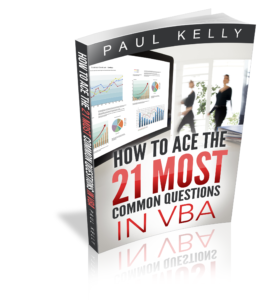 When a workbook, is opened or created, VBA automatically creates the VBA object for it. It also creates the worksheet object for each worksheet in that workbook. Conversely, when we close the workbook VBA will automatically delete the VBA objects associated with it. This is great news. VBA is doing all the work for us. So when we use Workbooks.Open, VBA opens the file and creates the workbook object for the workbook. An important point to remember is that there is only one object for each workbook. If you use different variables to reference the workbook they are all referring to the same object e.g. We will look at this in more detail in the VBA Objects in Memory section below. There are some very useful libaries that are not part of Excel VBA. These include the Dictionary, Database objects, Outlook VBA objects, Word VBA objects and so on. These are written using COM interfaces. The beauty of COM is that we can easily use these libraries in our projects. If we add a reference to the library we create the object in the normal way.
' beside "Microsoft Scripting Runtime"
If we don’t use a reference we can create the object at run time using CreateObject. The first method is referred to as Early Binding and the second is referred to as Late Binding(see Early versus Late Binding) for more details. We can assign basic variables using the Let keyword. Let sText = "Hello World"
The Let keyword is optional so nobody actually uses it. However, it is important to understand what it is used for. When we assign an object variable we use the Set keyword instead of the Let keyword. When I use “object variable” I mean any variable that isn’t a basic variable such as a string, long or double etc..
To understand more about this we need to take a peek(pun intended:-)) into memory. To understand what New and Set are doing we need to understand how variables are represented in memory. When we declare variables, VBA creates a slot for them in memory. You can think of the slot as an Excel cell in memory. When we assign values to these variables, VBA places the new values in the appropriate slots. This line creates the object in memory. However, it doesn’t store this object in the variable. It stores the address of the object in the variable. In programming, this is known as a Pointer. Because VBA handles this seamlessly it can seem as if the object variable and the object are the same thing. Once we understand they are different it is much easier to understand what Set is actually doing. Only one Collection has been created here. So coll1 and coll2 refer to the same Collection. In this code, coll1 contains the address of the newly created Collection. When we use Set we are copying the address from coll1 to coll2. So now they are both “pointing” to the same Collection in memory. When we open the workbook Accounts.xlsx, VBA creates an object for this workbook. When we assign the workbook variables in the code above, VBA places the address of the workbook object in the variable. In this code example, the three variables are all referring to the same workbook object. VBA uses the address in wk1 to determine the workbook object to use. It does this seamlessly so when we use a workbook variable it looks like we are referring directly to the object. In VBA we can refer to Functions and Subs as procedures. When we pass an object to a procedure only the address passed. When we pass an object from a Function(Subs cannot return anything) only the address of the object is passed back. In the code below we have one collection. It is the address that gets passed to and from the function. When we pass a simple variable to a procedure we can pass using ByRef or ByVal. ByRef means we are passing the address of the variable. If the variable changes in the procedure the original will also be changed. ByVal means we are creating a copy of the variable. If the variable changes in the procedure the original will not be changed. Most of the time it is a good idea to use ByVal because it prevents the variable being accidentally changed in a procedure. When we pass a Collection to a procedure, we are always passing the address of the Collection. ByRef and ByVal only affect the object variable. They do not affect the object! What this means is that if we change the object in the procedure it will be changed outside it – this is regardless of whether you use ByVal or ByRef. Let’s look at a second example. 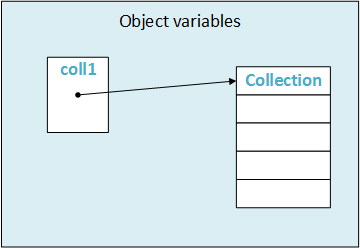 Here we are setting the object variable to “point” to a new Collection. In this example, we get different results from ByVal and ByRef. In the PassByVal Sub, a copy of the original object variable is created. So it is this copy that points to the new Collection. So our original object variable is not affected. In the PassByRef Sub we are using the same object variable so when we point to the New Collection, our original object variable is now pointing to the new collection. You may be wondering why VBA uses pointers. The reason is that it is much more efficient. Imagine you had a Collection with 50000 entries. Think how inefficient it would be to create multiple copies of this Collection when your application was running. Think of it like a library which is a real world collection of books. We can put the Library address in directories, newspapers etc. A person simply uses the address to go to the Library and add and remove books. 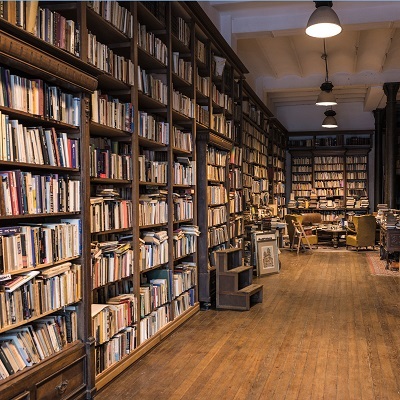 There is one Libary and the address is passed around to anyone who needs to use it.If we wanted a second library we would create a new library. It would have a different address which we could also pass around. The memory address is simply a long integer and it’s value is not important. But what is interesting is when we compare the addresses. Note: Use LongPtr instead of Long if you are using a 64 bit version of Excel. The memory addresses will be different each time you run. The address of the coll1 Collection and the coll2 Collection will always be the same. The address of the coll1 variable and the coll2 variable will always be different. 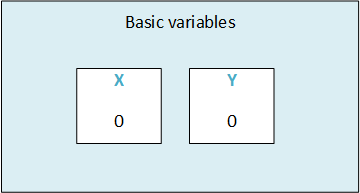 This shows that we have two different variables which contain the address of the same Collection. In this example, we created two new Collections in memory. When we created the second collection we set coll to refer to it. This means it no longer refers to the first collection. In fact, nothing is referring to the first Collection and we have no way of accessing it. In some languages(looking at you C++) this would be a memory leak. In VBA however, this memory will be cleaned up automatically. This is known as Garbage Collection. Let me clarify this point. If an object has no variable referring to it, VBA will automatically delete the object in memory. In the above code, our Collection with “Apple” will be deleted when coll1 “points” to a new Collection. If you want to see this for yourself then try the following. Create a class module, call it clsCustomer and add the following code. MsgBox "Customer " & Firstname & " is being deleted." Class_Terminate is called when an object is being deleted. By placing a message box in this event we can see exactly when it occurs. Step through the following code using F8. When you pass the Set oCust = New clsCustomer line you will get a message saying the Jack was deleted.When you exit the function you will get the message saying Jill was deleted. VBA automatically deletes objects when they go out of scope. This means if you declare them in a Sub/Function they will go out of scope when the Function ends. A question that is often asked is “Do we need to Set variables to Nothing when we are finished with them?”. The answer is most of the time you don’t need to. As we have seen VBA will automatically delete the object as soon as we go out of scope. So in most cases setting the object to Nothing is not doing anything. The only time you would set a variable to Nothing is if you needed to empty memory straight away and couldn’t wait for the variable to go out of scope. An example would be emptying a Collection. Imagine the following project. You open a workbook and for each worksheet you read all the customer data to a collection and process it in some way. In this scenario, you would set the Collection to Nothing every time you finish with a worksheet’s data. A new object is created in memory when we use the New keyword. The object variable contains only the memory address of the object. Using Set changes the address in the object variable. If an object is no longer referenced then VBA will automatically delete it. Setting an object to Nothing is not necessary in most cases. Let’s look at two examples that show how useful Set can be. In our first scenario, we are reading from a list of customers from a worksheet. The number of customers can vary between 10 and 1000. Obviously, declaring 1000 objects isn’t an option. Not only is it a lot of wasteful code, it also means we can only deal with maximum 1000 customers. What we do first is to get the count of rows with data. Then we create a customer object for each row and fill it with data. We then add this customer object to the collection. Each time we use Set we are assigning oCustomer to “point” to the newest object. We then add the customer to the Collection. What happens here is that VBA creates a copy of the object variable and places it in the collection. Let’s look at a second example where using Set is useful. Imagine we have a fixed number of customers but only want to read the ones whose name starts with the letter B. We only create a customer object when we find a valid one. It doesn’t matter how many customer names start with B this code will create exactly one object for each one. This concludes my post on VBA Objects. I hope you found it beneficial.In my next post I’ll be looking at how you can create your own objects in VBA using the Class Module. If you have any questions or queries please feel free to add a comment or email me at Paul@ExcelMacroMastery.com. This is a really, really great blog post. I’ve seen lectures about objects and memories before, but this is by far the richest, most clear explanation I’ve seen. Your hard work creating this really shows. Thank you! Thanks Al. It took considerably more time and work than I thought it would. Hi Paul, very useful post. My question is how when programming your own classes do you get something like this: shape.shapes(integer).method. I’m very interested how you get the second .method when creating a class. As new person to VBA i’ve found your website inspirational. If you create a class module called Shape and it has a collection called Shapes. Then this collection holds a group of objects then you could use the method you said. Thank you, understood. I look forward to putting it into practice. Paul, this is a very helpful blog. You have clarified some misunderstandings that I had, particularly regarding the “Collections” object. I continue to refer your VBA Code Handbook and the structured method. It was one the best investments that I made in trying to learn VBA. Thanks heaps. Thanks a lot John, great to hear you found it useful. This looks very good Paul. I completed your VBA Udemy course and am happy to commend your thorough approach. Am looking forward to going through this in depth to improve my limited understanding. I have to admit to you and also to everyone who will reach your website that all content you are sharing with us had been very important in our busy lives and I am sure this is the simplest (and the best) way of sharing information. Thank you so much for your time and thank you again for all those that will not thank you. The only way I can return it to you will be helping others and then continue sharing knowledge. Thanks very much Jimmy. Glad you enjoy the content. I’m new to this blog and I’m really amazed. It’s really great that whenever you cover any topic it is very comprehensive, so that even starter can follow up and learn from the basic things to the advanced ones. And even in posts dealing with the ideas I thought I had been quite advanced in, I was able to find a lot of interesting content. 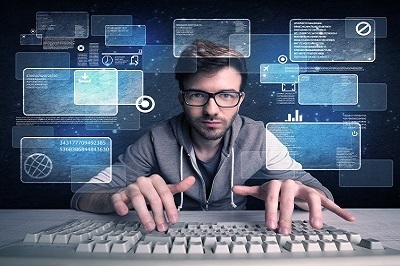 One of the common mistakes when experts are trying to teach is they do not consider that their “students” are not operating on the same level of understanding VBA, or HTML or Python or whatever. Looking forward to Classes guide. Thanks Tomek. Glad you enjoyed it. Like other posts, this one too, was great help clarifying the dark sides of the world of objects. But i’d want to see more details about usages and differences between late and early bindings. Maybe in another post? I have a small bit on Early/Late binding here in the Dictionary post. I may have look at expanding this in the future if time permits. simple question. What does Coll mean. You use it consistently. What is it short for please? coll is a variable name. I use it when I create collection variables. that’s why I prefer to use a distinctive format for variables, so they can be recognised as variable and can’t interfere with reserved names in VBA. for a collecion I use c_00, c_01, c_02 etc. for a dictionary d_00, d_01, d_02, etc. Wow! This is ‘the’ best explanation I’ve come across about VBA’s memory management. Thank you so much Paul! You’ve explored the collection method for understanding memory handling. Does the scripting dictionary method has a similar way of handling memory? Also, is there a way of having advanced memory management in Excel VBA (for example having soft and weak references)? Many thanks. It is the same more or less for the VBA Dictionary. How VBA stores the actual object in memory may be different but from a VBA point of view it’s the same. You can use ObjPtr to create a weak reference. 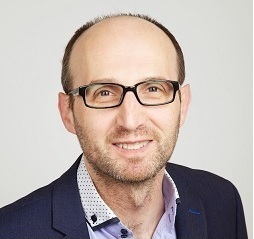 Hi Paul, great posts you made! First I’ve tried to make a start with VBA via trial&error, but that wasn’t a big success 😉 Your posts (I also read about dicts, arrays, ranges, etc) gave me a clear overview of what the basics concepts within VBA. I believe with that, my next attempt will be more successful. I believe however this should have been LongPtr (I got a TypeMismatch compile error). Thanks for your efforts by creating these blog posts! Hi Paul, one more thing I just found: in the examples in “Why Set Is Useful” I believe you assume that the clsCustomer-class already exists. However, I got an error saying that the “user-defined type is not defined” (referring to clsCustomer). Thanks to your other article (http://excelmacromastery.com/vba-class-modules/) I was however able to create that new class with 2 public properties (Firstname=string, and Surname=string) and then it all worked. Thanks for your comment. Glad you are finding the site useful. At the start of the section on Why Set is Useful I create the class. See First, “we create a very simple class module called clsCustomer and add the following code”. For the 64-Bit version of Excel you need to use LongPtr instead of Long. This post is the soul of practicality. There is not an ounce of fluff in it. Years ago I read a book called The Object Advantage that laid out the theory of object oriented programming, but left you in the deep weeds. This post was the missing link between theory and practice. Thank you for your extraordinary work Paul. Thanks for great lecture. It’s very harmful to me. Before that I read a lot about oop but never understood as when reading your post. Just read this. Superb post. Massive thanks Paul for taking time to write. Thank’s David. Glad you liked it. I have a question, Can we update the length of a method. Suppose I have an object createdocument that has .sendTo method. It is taking values up to 255 characters. I have more data than this. Can I increase then length of .sendTo method to either Long or Double. Can I modify it. I’m not really clear on your question. Can you post a few lines of code to help explain. Extremely useful of your blogs. Please also explain us where to put commas and quotes. Quotes are for strings(i.e. text) and commas are used to separate function/sub parameters. What a Great Teacher you are! Impressed! And Thanks!! Hello, great post. Could you help me with making a code to send and email to addresses in a cell, and in the body copy the cells next to the address?